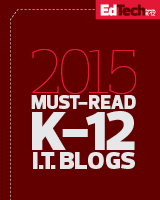 This entry was posted on May 21, 2015, 4:31 pm and is filed under BYOT Strategies, digital learning. You can follow any responses to this entry through RSS 2.0. You can leave a response, or trackback from your own site. The UK research article was distributed to staff by the principal in my building (grades 7-8). It precipitated a dialogue between the two of us that concluded in the declaration that smartphones are banned during activity period and must be kept in lockers all day unless required in certain classes. This blog is a great response to the UK article and reiterates many of the arguments I made.